CSR should be a focus of any CEO setting a company’s corporate citizenship agenda, says CEO of Henry Schein. The obligations of any big company that wants to be a good business partner for its customers and investors, as well as a good employer, must include a greater focus on corporate social responsibility (CSR) than ever before. For some companies, this seems to be treated more like a marketing exercise aimed at improving the image of a brand. For others, however, CSR is a more fundamental principle that drives profitability as well as branding. "For some companies, CSR is a fundamental principle that drives profitability as well as branding." Some large corporations have embraced CSR on the basis that it is one of the foundations of commercial success. For one, it's the embodiment of a principle championed by Benjamin Franklin, namely, enlightened self-interest. 'Doing well by doing good' is one way to boil down to a soundbite a philosophy that prizes cooperation and reciprocal altruism as the basis for long-term success either in business or in personal affairs. CSR can perhaps be defined as including any effort to both recognise and nurture the inextricable link between self-interest and collective well-being. "We fully subscribe to that idea," says Stanley Bergman, CEO of Henry Schein. "It encourages all our constituents, whether they are customers, suppliers, investors or associates, to work with others in areas of common interest. For that, the starting point is to define what the values of a company are." A worldwide distributor of medical, dental and veterinary supplies such as vaccines, pharmaceuticals, financial services and equipment, Fortune 500 company Henry Schein is obviously deeply engaged with the health and well-being of communities due to the very nature of its business. Nevertheless, it has also made a concerted effort to build on this position in an industry that enables the provision of healthcare to take CSR a step further. As a result, it has fostered a reputation for social responsibility within its industry. "Henry Schein has fostered a reputation for social responsibility within its industry." The most important lesson this holds for other large corporates is that CSR should be considered not just as an ethical issue, but also a commercial matter. "The soul of a company should be caring about the world in general, not just about issuing cheques," Bergman continues. "So we participate in causes that our customers are interested in and we aim to make a difference to communities and the world in general. CSR makes huge economic sense and it has been one of the major reasons for this company's commercial success." The commercial sense of a firm commitment to CSR derives from many factors, but perhaps the most important element is the strength of the relationships it helps to build, not only with customers, but also suppliers, investors and a company's own workforce. Engagement with projects that benefit the community - whether on a local, national or global scale - builds a tremendous amount of goodwill. It's a physical demonstration of the values upon which a company is built and establishes its credentials as a long-term partner. Crucially, a clear focus on CSR shows that a company has more on its mind than simply maximising profits in the short term. Profitability is, of course, never neglected but, put against the backdrop of CSR, it becomes entwined with the notion of sustainability in the sense that a company is demonstrating that it wants to do well by doing right by all its constituents and is, therefore, aiming to be around for the long term. This kind of credibility, premised on clear and demonstrable CSR practices, certainly gives a return on investment. While the ROI of CSR may not necessarily be easy to quantify in financial terms, it is certainly significant. "CSR only pays back if you fully commit to it," says Bergman. "If you are sincere then customers, investors and suppliers will see you as a good company to engage with. You can't just say that CSR is important and write a cheque to a charity. You must participate so that people can believe in your sincerity. CSR is at the centre of our efforts to balance the needs of all our constituents." "Henry Schein’s contribution to the Give Kids a Smile programme amounts to over $12m of supplies." When it comes to demonstrating a commitment to CSR, a company should be able to point to specific projects in which it is engaged. And, as Bergman says, this engagement should consist of more than writing a cheque to a charity. For Henry Schein, proving its involvement in specific programmes is easy. It can, for example, point to the Give Kids a Smile programme, which is run through the American Dental Association. Regularly throughout the year, the programme provides access to dental care for children in the US who might otherwise have gone without. The company helps by providing the programme with supplies that allow 30,000 dental practitioners to care for around 500,000 children a year. Over the years, its contribution amounts to over $12m of supplies, which have helped millions of patients. Beyond that, Bergman can indicate a host of other initiatives in which Henry Schein is involved; for example, it supports a scheme under which any healthcare professional going on a mission to an underserved community can apply for free supplies from the company. There is also an emergency response programme, which recently arranged logistical support for the healthcare response to events like Hurricane Katrina. The company provided $1m in medical supplies to Haiti after the earthquakes in 2010. The company also gives oral-care kits to children at the start of each school year as part of the US Back to School programme. What is clear from these examples of the company's CSR policy in practice is that the focus of the initiatives Henry Schein supports is firmly on providing access to healthcare. This may seem like an obvious choice for a company in its industry, but it shows that the goal is not to associate the brand with the causes that get the most media coverage, but rather to align corporate philanthropy closely with the company's daily business activities. This is not a marketing exercise, but an extension of the company's expertise and resources into the community in order to behave like a good corporate citizen. "Publicity is a by-product of this kind of activity, not the main driver. The brand must stand for things that are important to our customers," explains Bergman. Bergman has been CEO of Henry Schein since 1989, helping to take it public ten years ago, and has been instrumental in its growth from a family-run company to a global distributor. His personal involvement in Henry Schein's CSR agenda, as well as his support for organisations fostering the arts, higher education, cultural diversity, grassroots healthcare and sustainable entrepreneurial economic development initiatives in the US, Africa and other developing regions, is testament to his belief that running a company that is a good corporate citizen is intrinsically linked to being a good private citizen. "The personal and the corporate must reflect each other: where the CEO leads, the firm will follow." In terms of the CEO's involvement in a company's CSR agenda, Bergman believes that the personal and the corporate must reflect each other: where the CEO leads, the firm will follow. He believes, therefore, that personal philanthropy is closely linked to setting a corporate CSR agenda. For him, the CEO must define, guide and encourage CSR policy, as well as keep an eye on a company's progress toward the policy's goals. "Companies respond to leadership, so CEOs lead and people follow," says Bergman. "If the CEO makes CSR the soul of the company, then other people throughout the organisation will engage with it. So, I spend a good part of my time on it. Every week, or at least every month, I am actively involved in our CSR programme. "I set the example and the managers and employees follow. I drive the company's foundation and endorse all of its programmes, so CSR is as important as any other constituent. It comes from the core of the organisation. I wouldn't ask any manager to do something that I wouldn't do myself. I set the example in CSR as in any other area of the company's activities. It can't be divorced from your personal values as CEO." all of those stakeholders and, if it does, then there will be a distinct commercial benefit to the organisation. To ensure that a policy delivers the return it should, and that it benefits all constituents, it is vital to have a system to measure progress toward clearly defined CSR goals. Here, once again, the CEO plays a vital role. Ultimately, the CEO must ensure that the goals of CSR policy are aligned closely with corporate strategy, for that is when investment in CSR is good for the company and for the communities it serves. Corporate social responsibility can also be a driver of profitability and long-term relationships with customers and suppliers. 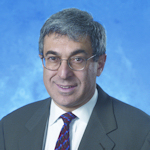 Stanley Bergman is chairman and CEO of Henry Schein.